FODMAPs are carbohydrates that are fermented in the gut and can cause painful gas and bloating for people who have Irritable Bowel Syndrome (IBS). 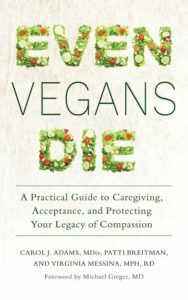 I shared resources for vegans with IBS in a blog post in 2016, which gives a more thorough explanation of a low-FODMAP diet. 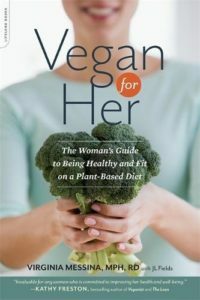 The diet is a challenge for vegans since many foods that are common in our diets are restricted, at least in the early stages of a low-FODMAP approach. In particular, legumes are limited and so are certain nuts, fruits and vegetables. Because IBS is such a common condition, though, there is considerable interest in expanding the list of foods that fit into a low-FODMAP plan. The most recent research is from Monash University in Australia and it looked specifically at foods that are common in vegan diets. Based on the research, I’ve updated the list of low-FODMAP foods that I included in my earlier post. Of the 35 foods that were tested, those that were low in FODMAPS included canned coconut milk, dulse (a sea vegetable), nutritional yeast, macadamia milk, soy cheese, tempeh, and pea and rice protein isolates. There were no detectable FODMAPs in agar-agar, Vegg egg yolk, Ener G Egg Replacer, or kelp noodles. Sprouting lowered the FODMAP content of grains and beans (with the exception of chickpeas), and pickled onions and beets had much lower FODMAP contents than non-pickled ones. Veggie meats (charmingly referred to in the study as “false meats”) were low in FODMAPs when made from gluten but not from soy. One thing to consider: The research was done in Australia and many of the brand names were not familiar to me. Some foods, like soy cheese, macadamia milk, and veggie meats made from gluten are likely to vary among brands. If you’re using a low-FODMAP diet to manage IBS, I’d use caution in including these foods. I did not add them to my updated food lists for that reason. 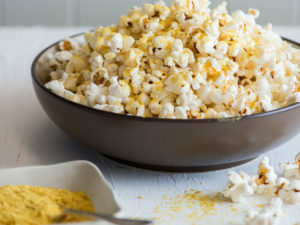 The adjustments to the low-FODMAP food lists are fairly modest, but it can make life a little easier to know that you can sprinkle nutritional yeast on your popcorn and make a cake with a vegan egg replacer. This is SO HELPFUL!! Thank you! I’m currently working on figuring out if I have IBS and know I need to be more careful with my FODMAPS and was wondering what that looked like with a vegan diet! Thank you for the update! I am glad that nutritional yeast, tempeh, rice and pea protein isolates, and kelp noodles are low in FODMAPs. I still do eat high FODMAP foods because they may be harder to digest, but still contain plenty of vital nutrientsm such as onions, avocados, peaches, black beans, rye, grapes, cabbage, beetroot, and garlic! Any suggestions for keeping protein intakes high? (for heavy exercise and muscle building). I feel like that’s a challenge anyway, but especially on low FODMAP! Your list mentions Tahini as a high foodmap food to avoid, but you have sesame seeds on your low foodmap list. Isn’t Tahini just ground up flax seeds? Hope the sun is shining down on you today! 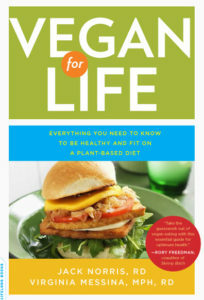 You impressed me with your presentation at the Albany Vegan Festival this weekend and I thank you for sharing. You brought the information to me the way that made me happy. I enjoyed the medical and biological impact that foods have on our systems that you highlighted. You also gave me some tools and additional information to research that will bring my mind and body to a perfect balance for me. The body shaming you highlighted was also a piece you made the audience aware needs to stop. 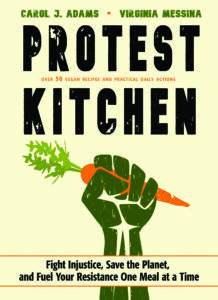 Thanks for this web site, I’ve recently returned to a plant-based diet after several years “off the wagon” as it were. I’ve always struggled with IBS-like symptoms (whether eating animal products or not) and finally went to an RD three years ago. Under her supervision I did a three-month low-FODMAP elimination diet. I lost ten pounds and felt great. When I started re-introducing FODMAPs, one at a time, the only trigger was dairy. I had already known I was lactose intolerant. What to make of this? What do I attribute my bloating and discomfort episodes to? Turns out, when I eat too much rich food over the course of a day or two I can end up with IBS symptoms, no matter what source. That applies even now during my switch to a plant-based diet. The old adage applies: moderation is key. Even though is was a difficult three months during which I had to avoid summer BBQs, food festivals, and fairs, I highly recommend the elimination diet process, and the services of a qualified RD. Anyway, thanks Virginia for this blog. 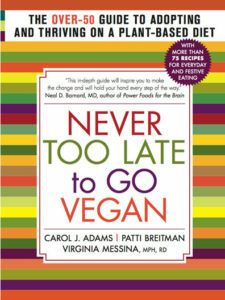 It’s a great resource and I recommend it to my vegan, vegetarian and meat-eating friends.